Kona Community Hospital is partnering with Maui Heart & Vascular to open a new cardiology clinic at Kona Community Hospital (KCH) beginning April 4, 2012. Maui Heart & Vascular’s Kona Clinic is located on the KCH campus in the Radiology Imaging Center and the new clinic will have cardiologist Dr. Andrew Rosenblum on-site to provide comprehensive, cardiac testing. This will provide patients with the convenience and comfort of receiving non-invasive cardiology services in Kona instead of traveling off-island to Oahu or Maui. Since there is limited cardiac care in West Hawaii, this is one solution to assist in meeting the needs of the community. Andrew Rosenblum, MD, FACC, is a non-invasive cardiologist who will initially provide these out-patient services. If more extensive services are required, patients will be referred to Maui Heart & Vascular’s Clinic at Maui Memorial Medical Center (MMMC) where Dr. Rosenblum and other cardiovascular specialists will be able to provide additional diagnostics and treatment. Maui Heart & Vascular at MMMC offers the only full-service cardiovascular service line on the neighbor islands. 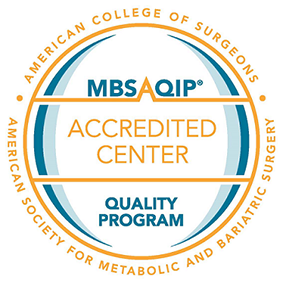 All of the physicians are fellowship-trained, board-certified, and have many collective years of experience in the diagnosis and treatment of a wide range of cardiovascular problems. Dr. Rosenblum received his bachelor’s degree in Biology from the University of Miami and attended the University of Miami, Miller School of Medicine. He completed his Internal Medicine internship and residency, as well as his Fellowship in Cardiovascular Disease at the Washington University School of Medicine/Barnes Hospital, St. Louis, Missouri. He is formally trained in Invasive Non-Interventional Cardiology and Clinical Cardiac Electrophysiology and practiced General Cardiology and specialized in arrhythmia management during 24 years of practice in Michigan. He holds active American board of Internal Medicine Certifications in Internal Medicine, Cardiovascular Disease, and Clinical Cardiac Electrophysiology, as well as National Board of Echocardiography Certifications in Adult Echocardiography and Transesophageal Echocardiography. In addition, renowned Cardiothoracic Surgeon Michael Dang, MD, is anticipated to provide out-patient cardiology services in the near future. For more information, contact the Kona Cardiology Clinic at 808-322-4542.